Were you looking for VW Recall lawsuits? Volkswagen Canada now faces a $1 billion class action lawsuit following news of the Volkswagen recall involving more than 11 million of its diesel automobiles worldwide. Owners of diesel vehicles affected by the recall have filed a lawsuit alleging they were financially harmed by Volkswagen's use of defeat devices to skirt emissions laws. In addition to the Volkswagen Canadian lawsuits, the carmaker also faces lawsuits in the United States and Europe. Send your VW Canada Recall claim to a lawyer who will review your claim at NO COST or obligation. In September 2015, Volkswagen announced a recall of 11 million diesel automobiles around the world. 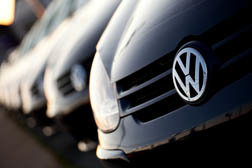 The recall was announced after an investigation in the United States discovered that Volkswagen had used defeat devices on certain diesel vehicles. Those defeat devices were designed to turn up emissions controls when cars underwent emissions tests, but then turn off controls for normal driving conditions. The vehicles then passed emissions tests but under normal driving conditions were allegedly releasing up to 40 times the allowed vehicle emissions. Owners who filed the lawsuits say they purchased the diesel vehicles because they had good performance ratings while still meeting emissions standards. They further state that had they known about the defeat devices, they would not have purchased the affected vehicles. Volkswagen has reportedly admitted to installing the devices and the company's CEO has resigned his position. According to reports, at least 100,000 affected vehicles were sold in Canada. Plaintiffs in the Volkswagen Canadian class action lawsuits allege their cars have lost value as a result of Volkswagen's actions. They allege Volkswagen was negligent, breached its duties of care and committed fraud and deceit. A Volkswagen class action lawsuit filed in Edmonton seeks $1 billion for diminished vehicle value, mental distress, and expenses incurred during repairs to vehicles. In addition to the Edmonton lawsuit, there was reportedly a lawsuit filed in Ontario and one in Winnipeg. More lawsuits could also be filed. Volkswagen also faces lawsuits in the United States, alleging the company deceived consumers into buying their vehicles and violated the Clean Air Act, which limits vehicle emissions. Up to 34 federal lawsuits have been filed, with more possibly on the way. My mechanic told me the speedometer issue was due to the different sized tires I had on my car. They are slightly bigger than the size on the door or manual. After buying my dream car, a blue TDI Golf Wolfsburg Wagon with 6 speed manual for probably too much money, it's very disappointing for the lack of respect we get from Volkswagen Canada on this diesel situation. You've got to wonder, when it comes time for warranty work, will they give you a problem at 100,000 kilometers, when we all know it's only got 95,000, because of the 5 km issue with the speedo!! On the other side of it, exactly how many kilometers are we really getting per tank of fuel ? Cheers! I agree with Beverly, I have noticed the speedometer but have not pursued it with the dealer. That brings me to the odometer readings, are they wrong as well? For a company to spend millions to lye and cover a problem up, they will need to do something major to regain my trust. What the hell else are they lying about. My main issue is with the way VW kept selling what was supposed to be a GREEN Diesel. I was thinking of selling my 2012 Jetta TDI but how do you get an E-Test in Canada when it is already known that the car will not pass. I feel like I am still making payment on a Dead Horse. What does everyone else thinks about this. An Asset that can not be liquidated. Why is no one talking about the speedometers in our cars. Does not one else realize that the speedometer is 5 klm out! The speedometers read 5 klm less than the actual speed. So when the car says your doing 90 klm and everyone is passing you, you are actually doing 85 klm. At first everyone said that it would change when I put the winter tires on. NOT! I have a letter from VW in my glove box just in case I get pulled over for holding up traffic in the "fast lane" which is what Alberta and BC are now enforcing. When I went to the dealer and told them I want my speedometer fixed to read accurately they said that the 5 klm below actual speed was legal. As for the emissions fraud I think they owe us big time for lying to us.